Take your skills to the next level. 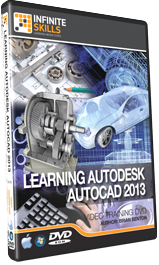 This Learning AutoCAD 2013 Tutorial Video is the ultimate in comprehensive instruction for the discerning professional. These training classes use broadcast quality audio and video to deliver concise and informative training right to your desktop. The course is presented via an intuitive, easy-to-use interface, allowing you to learn at your own pace. These Learning AutoCAD 2013 Tutorials break even the most complex subjects down into easy to follow segments, following along is simple. Practical working files further enhance the learning process and provide a degree of retention that is unmatched by any other form of training. Take your skills to the next level. 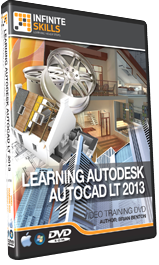 This Learning AutoCAD LT 2013 Tutorial Video is the ultimate in comprehensive instruction for the discerning professional. These Learning AutoCAD LT 2013 Tutorials break even the most complex subjects down into easy to follow segments, following along is simple. Practical working files further enhance the learning process and provide a degree of retention that is unmatched by any other form of training. Take your skills to the next level. 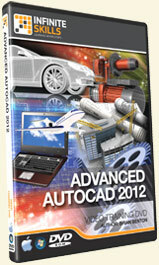 This Advanced AutoCAD 2012 Tutorial Video is the ultimate in comprehensive instruction for the discerning professional. These Advanced AutoCAD 2012 Tutorials break event the most complex subjects down into easy to follow segments, following along is simple. Practical working files further enhance the learning process and provide a degree of retention that is unmatched by any other form of training. Learn how to take your skills to the next level. 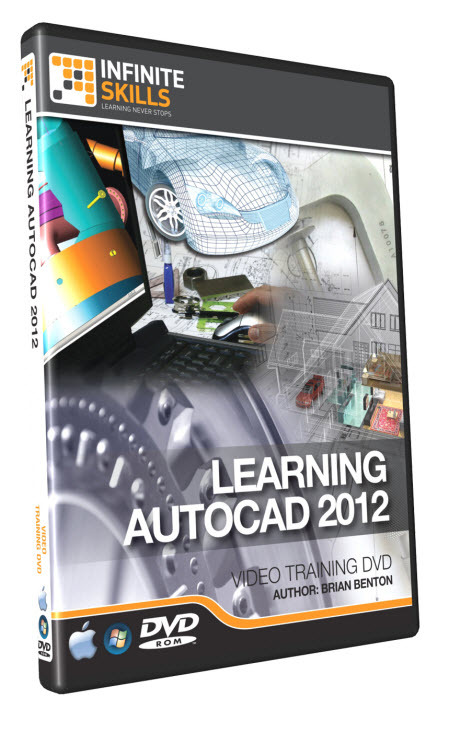 This Learning AutoCAD 2012 Tutorial Video is the ultimate in comprehensive learning for the discerning professional. The training uses broadcast quality audio and video to deliver concise and informative training right to your desktop. The training comes complete with practical working files and presented via an intuitive, easy-to-use interface, allowing you to learn at your own pace. 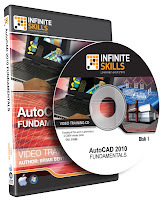 These Learning AutoCAD 2012 Tutorials make learning simple, quick and enjoyable. All Training Videos are authored by professional instructors who have a passion for teaching. 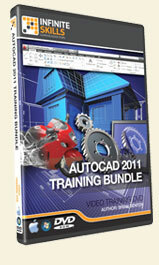 Learn AutoCAD 2012 Bundle from a professional trainer from your own desk. Take your skills to the next level. 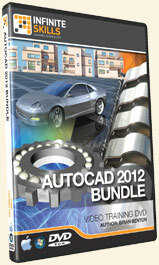 This AutoCAD 2012 Bundle Tutorial Video is the ultimate in comprehensive instruction for the discerning professional. Learn how to take your skills to the next level. This AutoCAD 2011 Tutorial Video is the ultimate in comprehensive learning for the discerning professional. This Bundle is a two-in-one deal! It is a compilation of of my Advanced AutoCAD Techniques and AutoCAD Fundamentals videos. Start from the beginning and work your way to the top. These AutoCAD 2011 Tutorials make learning simple, quick and enjoyable. All Training Videos are authored by professional instructors who have a passion for teaching. This AutoCAD Training Video of mine builds on top of my previous title, AutoCAD Fundamentals. 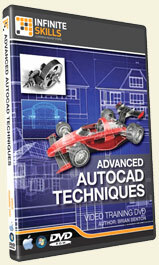 Any AutoCAD user that wants to take their skills to the next level will be interested in this new title. Learn how to take your skills to the next level. This AutoCAD 2011 training Video on DVD is the ultimate in comprehensive learning for the discerning professional. The training uses broadcast quality audio and video to deliver concise and informative training right to your desktop. The Tutorial comes complete with practical working files and presented via an intuitive, easy-to-use interface. These AutoCAD 2011 tutorials make learning simple, quick and enjoyable. All training courses are authored by professional instructors who have a passion for teaching. Click here to purchase this video. AutoCAD is an industry standard design and documentation software program that is easy to learn, but complex to master. In this video training CD, expert author Brian Benton takes you through the fundamentals of AutoCAD 2010 and gives you the tools you need to be on your way to becoming a fully functioning AutoCAD user. Starting with the basics of installation, Brian quickly teaches you the basics, and then dives right into applying them, with a chapter project that reviews everything you have learned in each section. Using a hands on approach, Brian allows you to more quickly learn how to apply the material, increasing your retention and understanding of AutoCAD 2010. By the completion of this over 9.5 hour tutorial, you will be familiar and comfortable with AutoCAD, and capable of drawing, decorating and annotating an AutoCAD project. Also included are work files to allow you to work along side the author, and further understand what he is showing you, step by step. Here at the CAD-a-Blog Store we have more than serious CAD Training videos. Some times you need to look good when you CAD. Click below to go to our CAD-a-BLOG Zazzle Store where you can purchase fantastic CAD and CAD-a-Blog related hats, shoes, shirts, STAMPS. iPhone cases, mugs and more.